God is with us no matter what. We must hold on to this during the worst..
God is with us no matter what. We must hold on to this during the worst times and through the great times. When something horrific happens we should never waiver in our faith to God. In spite of how tragic it is. God is and will always be the comfort through our tragedies. So continue to praise Him, continue to trust Him and rest in knowing that He is right there with you. Let’s continue to pray for our great country and that God will continually use us to spread His love so that each day we are making this a better place to be. 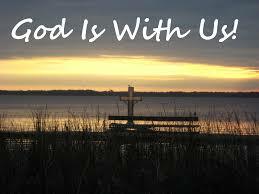 Remember God is with us, no matter what. Have a blessed day. Take care, stay encouraged and God bless you.